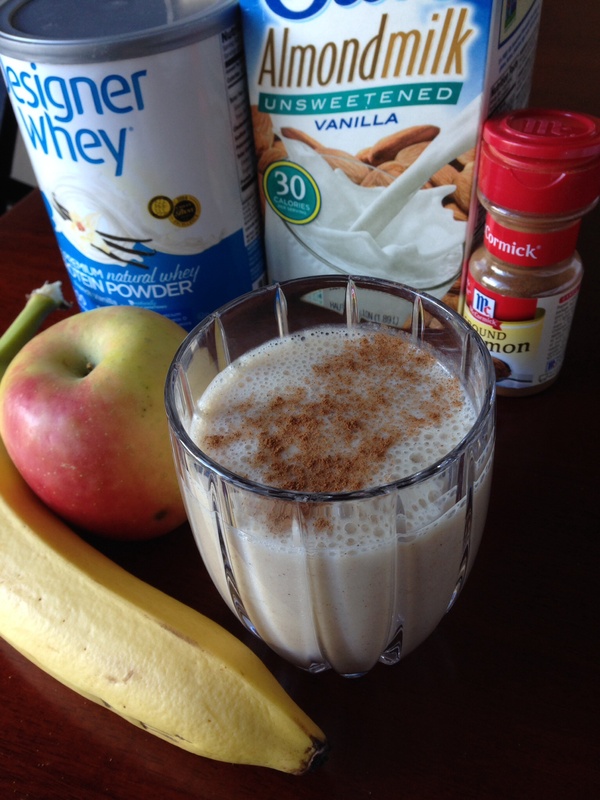 Apple Pie Protein Smoothie – What's for dinner, Doc? Are you needing a little post holiday detox? I’m committed to maintaining or losing weight between Halloween and New Years. I have had great success in the past by substituting one meal a day with a protein drink. Here’s a tasty apple pie shake with no added sugar. Enjoy and take the pledge to Maintain, Not Gain! Combine all ingredients in a powerful mixer. I have been debating whether to get a vitamix or Ninja.. Your smoothie sounds delicious, will have to give that whey powder a try. I’ve tried a million protein powders. This one has stevia which I think is safer than artificial sweeteners. It tastes good too. Love my Vitamix.